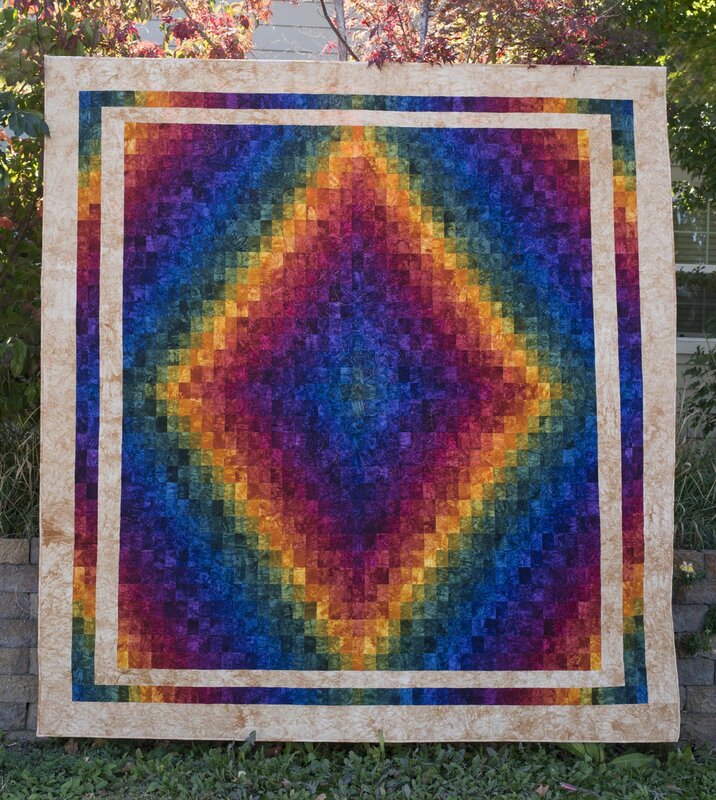 Harmony is a strip pieced quilt that is a modified version of a trip around the world. It is made from rectangles instead of squares so the quilt has more of a diamond shape instead of a square. The autumn color sample is the Queen Size and the jewel tone is made up in the twin size.